Oops – I overpaid an employee, what now? Time is of the essence when it comes to reclaiming overpaid wages or you may find the law will side with the employee and the money will be unrecoverable. Mistakes happen, but overpaying employees can prove to be a costly mistake as the law won’t necessarily help an employer recover the funds. Where an overpayment has occurred, it is possible the employer can recover the amount overpaid as the vast majority of employment agreements contain a "deductions clause", under which the employee consents to the employer making deductions from future wages. The Wages Protection Act also entitles the employer to recover overpayments in certain circumstances but it provides a limited time window for recovery. Notice of intention to recover the overpayment need to be promptly given and the overpayment itself must be recovered no later than two months after the notice is given. But in cases where these options don’t apply employment lawyer Karen Radich, barrister with Clifton Chambers, advises the onus is on the employer to show the payment was made by mistake, under duress, by an illegality (such as theft) or another similar ground. Additionally where an employee doesn’t realise that the payment has been made to them in error, or realise that the overpaid funds have been received (which can happen with drip-fed overpayments made over a period of time), they may have changed their position in reliance on those funds which would mean that the employer cannot then recover the overpayment. “Section 94B of the Judicature Act 1908 provides that where a payment is made by mistake, if the person receiving the payment has done so in good faith and then altered his or her position in reliance on the payment, the Court can decide not to grant relief to the claimant,” Radich explained. In a 2012 ERA decision Air New Zealand (Foai v Air New Zealand) was unable to reclaim $42,635 it overpaid one of its workers for 16 months. While the man told both his manager and the HR manager he was concerned he was being overpaid and then asked the payroll staff about the situation, he was repeatedly assured that all was as it should be. By the time the company finally realised it had been overpaying the man, it was too late for it to recover the money under the Wages Protection Act, so it instead made a claim under the common law of restitution. 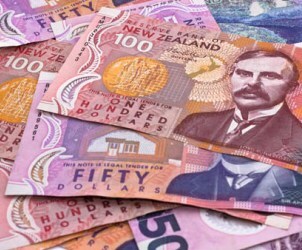 However, Air New Zealand was unable to establish that it had been mistaken in its overpayment and the Court also found the man had acted in good faith by bringing the situation to the attention of his superiors’. In a recent ERA decision (Stages Civil and Electrical Ltd vs Cook) the ERA ruled that the employee did have to repay the wages. Stages Civil and Electrical Ltd (SCE) overpaid an employee $7,164.96 after an additional number was entered into the gross pay line. The mistake was picked up two days after the pay run and an email along with supporting document was sent to the employee highlighting the overpayment and requesting reimbursement. SCE received an email requesting further information which was provided. However thereafter SCE failed to get a response from the employee. The ERA ruled that the overpayment was a simple mistake and gives rise to a right to restitution. “The lesson for employers is that they should advise the employee of the overpayment immediately, and preferably in writing, in case they manage to do so before the funds are all spent,” Radich said.